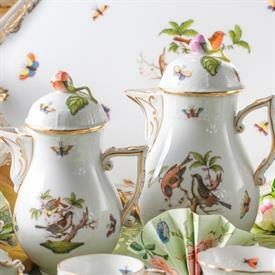 Herend ROTHSCHILD BIRD List of In Stock items. ,TRIANGULAR VEGETABLE DISH. 191/ROM. 10" PIECE IS IN THE RARE PASTEL COLORS! ,7783/RO 47-A OVAL ASH TRAY. 5.25"
,7783/RO 12-A OVAL ASH TRAY. 5.25"
,7783/RO 124-A OVAL ASH TRAY. 5.25"
,3" OVAL OPEN WEAVE BASKET 3.75"